As soon as I opened the case to the Audix Studio Elite 8 Drum Mic kit, the first thing I noticed was the tom and snare mounts. The gooseneck style clip that Audix offers is superior to any clip that I’ve ever used. Mic placement around the drumkit is a breeze with these clips. And the fact that this kit came with three impressed me right off the bat. I was also pleasantly surprised to uncover two very sturdy shock mounts for the overhead large diaphragm condensers. The primary focus in my home studio is recording drums. So in this case, I recorded each mic in its appropriate placement around the drum set. Before I jump ahead, let’s discuss some details regarding the source. 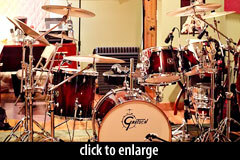 The drum kit that I’m using in the studio is a 7-Ply Birch, Gretsch Catalina series. The room I’m recording in is approximately 20 feet long with a ceiling height of approximately 9 feet. I’m using a ProFire 2626 interface with the built-in preamps — straight into pro tools. 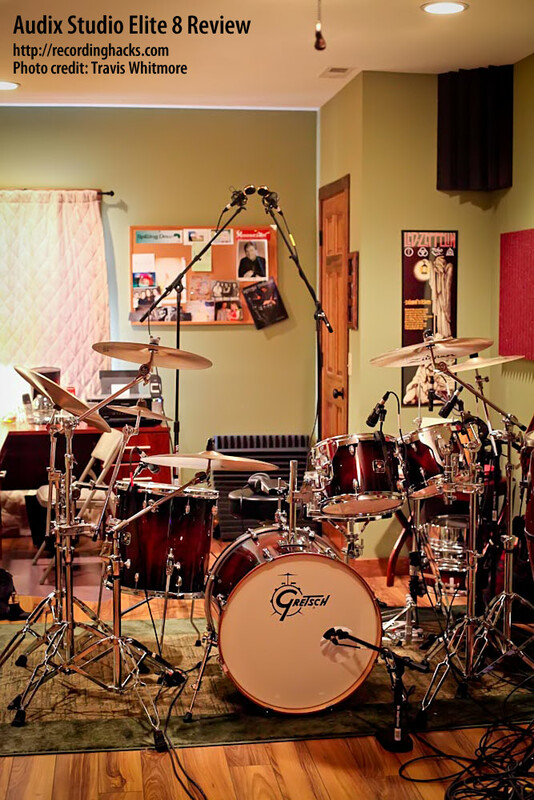 The drum tracks below were mixed raw, with zero compression, eq, plug-ins, or effects. To create the kind of comparison that I wanted to hear for myself, I recorded a simple groove highlighting each of the components of the kit. 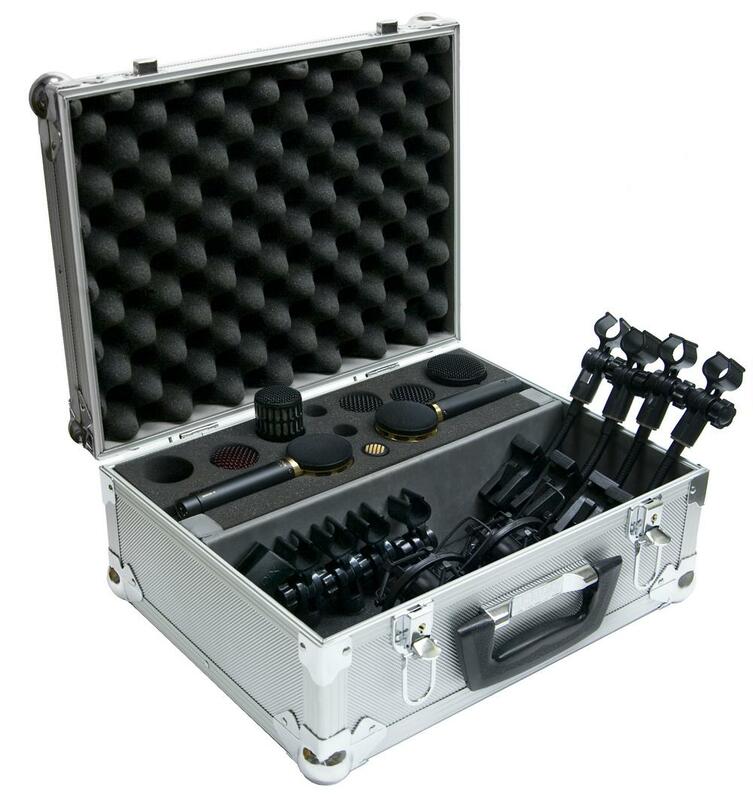 First, I used my old mic bundle, a kit that also includes the typical tom, hat, kick and overhead mics. 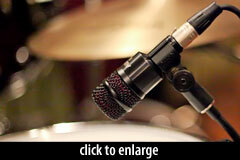 In this case, I also used the infamous Shure SM57 on the snare, rather than the bundled snare mic. At first listen, I was immediately drawn to the BIGGER sound of the Audix sample clip. The Audix mics seem to bring out the natural EQ and tones of the birch shells. The D6 certainly added a lot more attack and a nice, punchy bottom end. 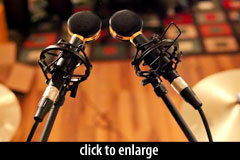 In addition, the gain meters on all of the individual Audix mics were noticeably increased. After listening to the two samples for a bit, I did an A/B comparison, soloing each mic individually. The most noticeable and impressive differences were in the D6, D4, and the SCX25A’s. What blew me away the most about these three mics in particular was their natural EQ. Right out of the box, each one of these mics is already tuned specifically to the source. The D6 has a great attack, without losing the bottom end. The D4 brought out more of the “ooomph” of the floor tom that was lacking with the previous mic. Even though smaller in size, The SCX25A’s were also impressive in bringing out a very natural and full sound to the drum kit. 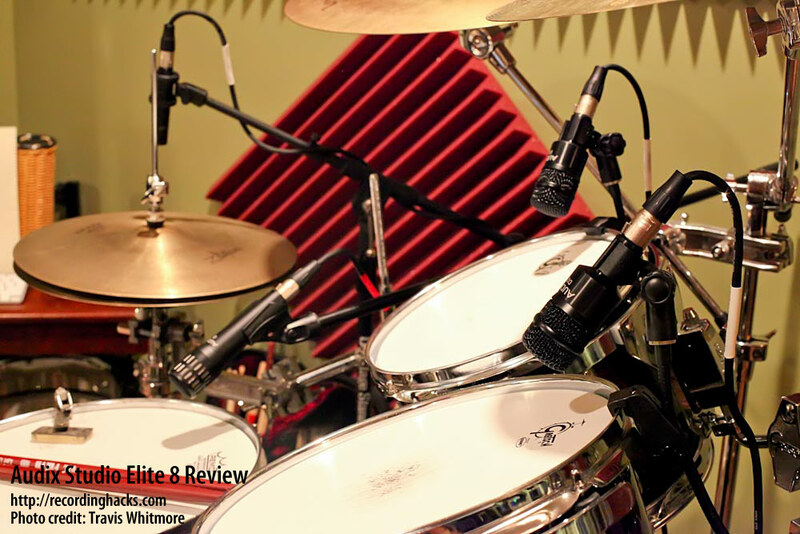 In fact, these mics alone brought an entirely broader and more ‘airy’ dimension to the kit AND the room as a whole. Additionally, the smaller sizes were easier to manage when positioning. 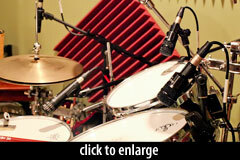 As for the remaining mics, the D2 rack tom mics also added a more natural fullness to the toms. The SCX1-HC hat mic also demonstrated a more crisp, clean hat sound. When comparing the i5 to the SM57, I didn’t notice any major difference in the sound of the snare drum. I’ve always preferred the SM57 on the snare drum mainly because of its reputation and my overall experience with this mic. 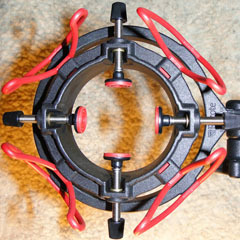 However, the i5 was certainly a lot easier to place on the snare with its provided clip mount. Overall, I’m very impressed with these mics. To me, sounding this good without any EQ or compression right out of the box is invaluable and saves a lot of time when it’s time to mix. I do a lot of custom drum track recording via collaboration. With my old mics, I found myself spending a lot of time processing and tweaking things in ProTools before sending audio files to the client. With the Audix line, I feel more confident in sending the RAW tracks, thus saving me and the client time and headaches. Additionally, the previous tom and snare mics have their clips integrated into the mics themselves. If used strictly for drums, this feature is fine. However, this has always limited me on using these mics on other sources. With the Audix mics, however, I appreciate the fact that the clips are separated. This allows me to easily transfer the mic to another stand quickly and record another source like an acoustic guitar or bass cabinet. 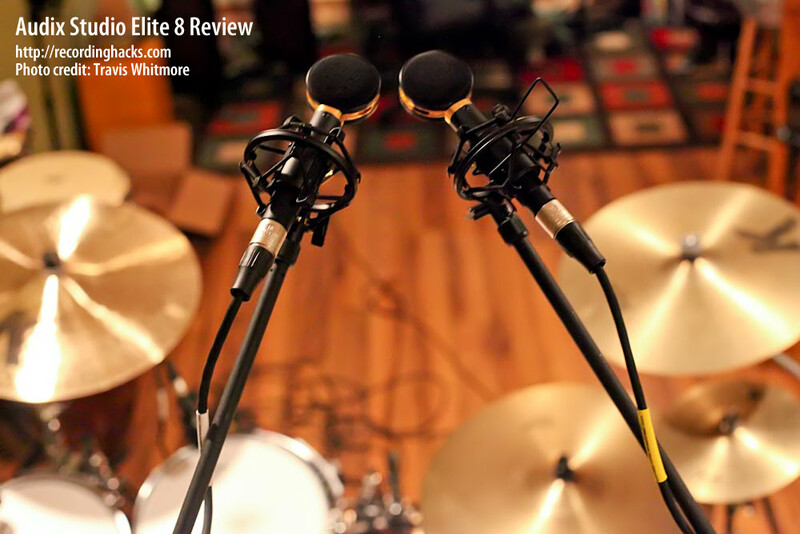 Bottom line: These mics are sturdy, durable and they sound great. 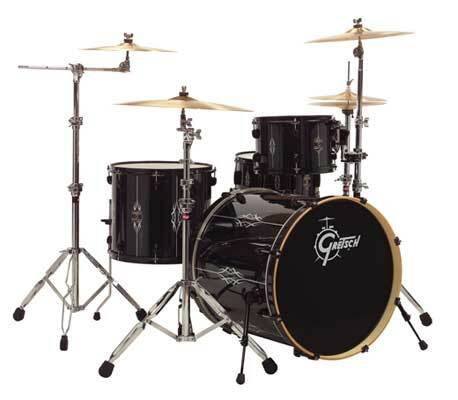 More importantly, they bring out the true, lifelike and natural characteristics of the acoustic drum kit as a whole instrument. Due to the fact that the Audix mics smoked Travis’ previous mic kit, and the fact that the Audix mics cost a bit more, we’ve elected not to identify the other mics. It’s not really a fair shootout. I was blown away by the sonic upgrade provided by the Studio Elite 8 kit. The Audix set brings deeper bass, significantly more natural and musical cymbals, and overall a much higher-fidelity sound. For example, listen to the space between the ride-cymbal pings near the end of the clip. Thanks to Cliff at Audix for loaning us the Studio Elite 8 kit on short notice! Drummers, what do you think about the audio tracks? Great Review! I just stumbled upon your site and I’m glad I did. Nice to hear the comparisons. I ended up buying the DP7 kit a year ago and use it for both live and more recently in a home studio. We really liked the sound we got. The first test we did was to compare the SM57 with the i5. We had been waiting to compare those two for some time. For us there was a big difference in sound. The i5 added a lot more low end and “beef” to the snare sound. We were running both mics through a quality mic pre, so that may have helped the sound a little, but we weren’t expecting that much of a drastic difference. I got to say I really like that i5! The D6 performed as everyone hyped; it’s a great mic for the kick. Overheads were alright, but after reading about the Earthworks TC-30 drum overheads, I think I’d like to check those out. 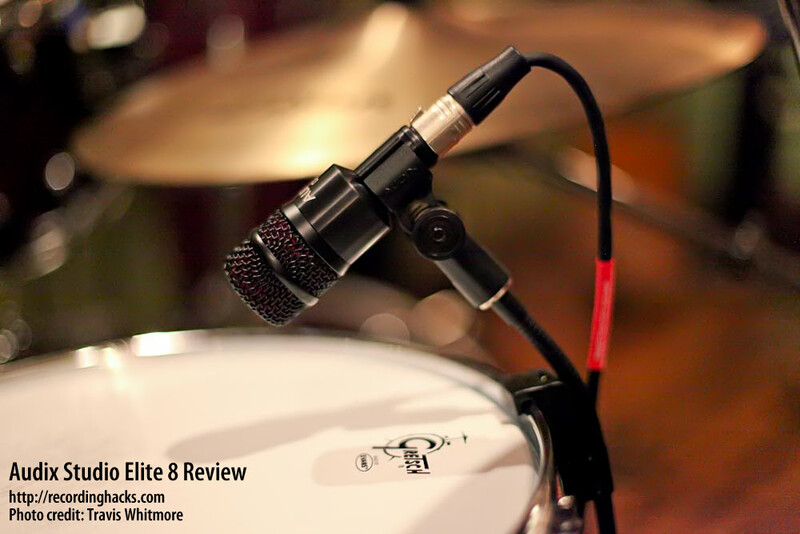 Steve, the SCX-25(A) included in the Elite 8 kit is a very different mic than the ADX51 included in your DP7. I’m not familiar with the ADX51, but I know it’s a small-diaphragm electret. The SCX-25 would sound much different, and I’d be shocked if it didn’t sound significantly more natural than your SDCs. For $1,000 more I sure would hope so! Very true. I would have preferred the DP8 kit, but it was a toss up between great sound and eating for a couple months. Trust me… it was a tough decision! I can only eat Ramen noodles for so long, though. I figured on trading up the overheads in a little bit. Any great overhead suggestions for close micing with ceilings that are less than desirable height-wise? Let me repeat what a great find this site is and I’m sure that whatever overheads I decide to pick up, this place will have had an impact in that decision! Be well. Oh! Also, loved your overhead drum mic comparison page. Brilliant! Would the Recorder Man technique be more advantageous for those of us with lower ceilings? Thanks for all the research and sound clips. Very enlightening for us noobies! Hey Steve! I’ve been playing around with the recorderman technique in my home studio some recently. I definitely prefer this technique especially with lower ceilings… Nice wide stereo image, minimal reflections. You may just have to play with the eq/reverb a little bit. Glad you dug the review!